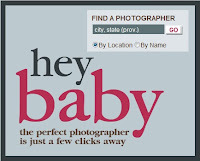 But, up until now, one aspect that I hadn't found online was a way to find comprehensive information on baby photography. Aside from just looking in a phone book or heading to the department store at the mall, why wasn't there a place moms and dads could compare and contrast baby photographers to discover just the right one for them? Someone who not only fits the style they were looking for, but understands the goals and, of course, works with the budget. 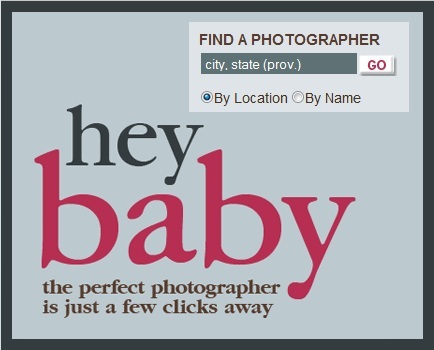 BabyPhotographers.com allows for quick searching - it took me only a few seconds to input my city to find that there were nine different photographers in my area. It was great that, upon clicking on them, a Google map was included with their contact information so that I knew just where each one was located in relation to my house. I would have liked sample photographs to be right there on the BabyPhotographers.com website, but having the short overview (telling what that particular studio specializes in) was helpful and clicking on the URL to be brought directly to the site was quick and easy. I spent a little too much time browsing through the photographers' portfolios and was really impressed with the exceptional talent and beautiful products they had to offer! BabyPhotographers.com also features articles on their blog to help educate and inform moms about great topics, such as How to Have the Perfect Newborn Photography Session, a good one to read to calm some of the nerves and answer questions about what to expect. As well as being a great resource, BabyPhotographers.com even has a fun contest going on right now with a chance to win $2,000 in free baby, child or family photography in their Smile Baby contest! Who wouldn't want that? Every parent loves to see their baby smile, but BabyPhotographers.com wants to know what lengths you'll go through to make your son or daughter beam. 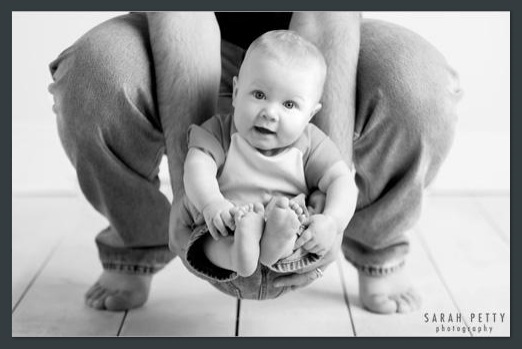 Simply submit a 100-200 word paragraph answering the question, "How do you get your baby to laugh?" and you just might be the winner! First prize is a $2,000 gift certificate to the photographer of their choice listed on BabyPhotographers.com, second place receives a $1,000 gift certificate and third place will receive a $500 gift certificate. Any of those could lead to some amazing portraits for baby, child or the whole family. If you're like me, you know that memories fade all too quickly, so why not find a photographer who will capture the moment forever? Even better, why not win it? The Smile Baby contest runs through September 30, head over and enter! And to keep up with BabyPhotographers.com, you can find them on Twitter and Facebook as well as their great website. What a great review of our site! Thanks so much for posting this :-) And good luck to all you Moms who enter the contest!